With the advancement in technology and employment opportunities, every youngster desires to start his/her own business online. They do a lot of research work before establishing the business and end up resulting in a huge loss. As per the surveys, Amazon product research is time-consuming and irritating. If you are an Amazon seller and willing to succeed in the competitive world, you just need the right tools to reach potential customers and generate revenue. This can be made easier through simplified searches, product reviews & ratings, sales estimation, updates, and notifications. Surprisingly, there are a plethora of Amazon product research tools available in the market. The idea of introducing this article is to help sellers reach the goals using the best tools for Amazon affiliate marketing. 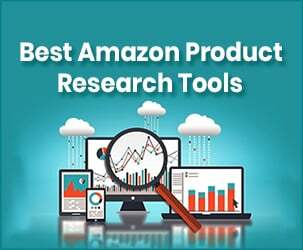 Given below are the Best Amazon Product Research Tools that are trending now. Have a look! When it comes to choosing the top 10 Amazon research tools, the jungle scout web application ranks first because of the efficiency, standards and user-friendly options. Compared to others, Jungle scout is one of the prominent research tools available in the industry to help the marketing geeks build a profitable Amazon business. It was launched in 2014 by Greg Mercer to find the best products for selling on Amazon. The Jungle Scout tool can be accessed through web applications and browser extensions to make the customers use with hassle-free functioning. You can also keep a track on competitors data, reviews count and much more. Furthermore, the website includes case studies, webinars, e-books to help entrepreneurs grow the business online. It even offers different packages like $50 for business, $40 for standard and $25 for start-up geeks. The user can search for thousands of products across the globe. To recapitulate, Jungle Scout makes finding the products easy. However, it gives the estimated results to challenge competitors with innovative ideas. You can also have a 7-day free trial by login with your details. Before paying the bill, check Jungle Scout discount code to get a rebate on your subscription plan. Search and get the product ideas quickly. Estimator tool for analyzing product sales. Filter out the product niches and sub-categories. Beginners guide to quickly start selling on Amazon FBA. Services are a bit costly. Might face difficulty with the payment gateway options. Others can easily find your product details (sales, reviews, etc.). Are you planning to start a business on Amazon platform? Well, you must know the tools that benefit you in searching the products, competitors and pricing details. The one we are discussing is the Amazon Scout product research tool. It is recognized as the best product research tool in 2019 for accurate results and true nature. Amazon Scout services are made available in 10 countries like Canada, USA, Mexico, UK, France, Spain, Germany, Italy, and India. If you want to use the tool full-fledged, choose the pricing as per your choice, $45 per month, $99 per year and $199 for lifetime accessibility. Like jungle scout, it also features a 7-day free trial version and also features a free sales estimator and FBA fee calculator. With the Amazon Scout extension in google chrome, you will get all the sales data on a single click. With AMZScount coupons, get discount on lifetime & yearly subscription plans. Know the trending searches on Google. Get access to sales and revenue estimator. Know about prices, rankings, and reviews. Export the product data to excel sheet quickly. Profit calculator to analyze the generated income. Be familiar with the product keywords and recent searches. 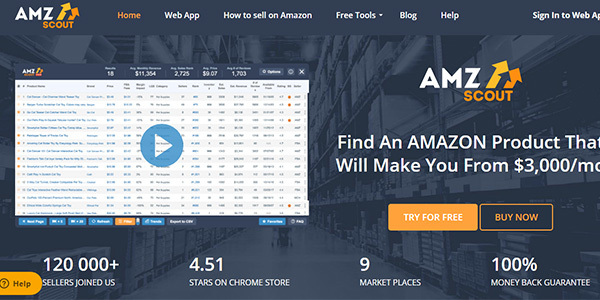 Amazon inventory spy and Amazon to eBay price comparator tools. It does not track the PPC data. The pricing plan seems to be expensive. Researching an old-fashioned way, wasting hours of time and hoping the best is no more an option. Instead, you can go with the Asinspector that unfolds the products to make money and compete with famous brands. It is an excellent tool for both newbies and experienced sellers in the industry. Hopefully, you get it quickly from the google chrome extension to do a quick research. Apart from that, you can also compare the product prices with other e-commerce websites like eBay, Alibaba, AliExpress, Walmart, etc. to get an idea of the market value. It is possible to upload unlimited ASINS and check the results instantaneously. This is mostly in areas where Jungle Scout and Amazon Scout product research tools are unavailable. Using the 7-day free trial version you can know the FBA fees, product pricing, trending keywords, sponsored ads data and profit calculation. For more advanced features, go with the paid version which is about $97. Check ASINspector coupon code, to grab a discount on pro license & standard plans. Overall, the Asinspector product research tool offers the best performance for users. If you are ready to start selling products online and grow the business, then you need to get the Asinspector tool as soon as possible. Finds out best sellers of different niches. View the product reviews, ratings and prices. Store and save the favorite searches at any time. Able to scan products on Android and IOS devices. You can upload unlimited data to search using filters. Generates estimated monthly search volume and revenue. The filters help to identify the potential audience of a product. Keep on updating for quick results. Most of the sellers invest money in online business and fail to gain profits. If you are the one among who is craving for massive success in the industry, then the Unicorn Smasher tool is for you. It just takes a few seconds to generate the metrics you want to know. You can rush to the niche (category) and search until you find the right choice. Furthermore, it includes comprehensive data and sales estimates to switch between products. Unicorn Smasher tool is highly reliable in making quick responses of deals, rankings, reviews, and earnings. 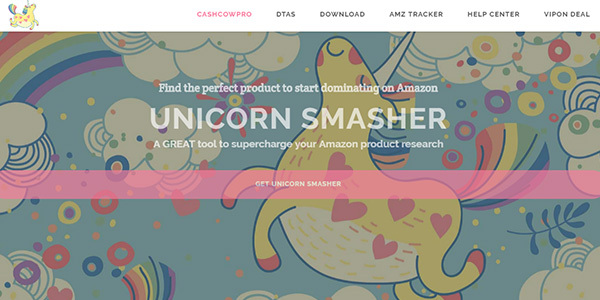 Moreover, it is free to download the Unicorn Smasher extension from the google chrome web store. In a nutshell, the Unicorn Smasher product research tool offers exceptional performance to the users. It has 60K new visitors per month for quality services and peaceful accessibility nature. The only downside is that the services are confined and the results change within a short duration. Apart from that, it's worth using the tool to develop an online business. Checks the product canonical URLs. Available 24/7 customer support services. They are integrated with Amazon Tracker services. Get the complete details of FBA, AMZ, and FBM. Export the product information in .csv format. Estimate the revenue generated in a particular niche. 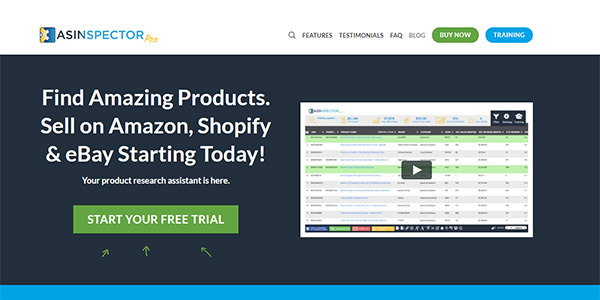 Gives monthly sales estimated data from Amazon listings. View the sales pages and PPC metrics on your browser. Have to download from the chrome extension only. Limited services and results may vary from time to time. The next one in the list of best research tools 2019 is Camelcamelcamel. Although the name seems to be odd, this tool is beneficial for beginners, entrepreneurs, and experienced sellers to know the pricing details. This incredible tool is outlined to know the specific purpose like identifying whether the product is launched recently or not, performance and sales too. You don't have to create a separate account to track the prices or get the alerts. To set up a free account, sign up with google, facebook and twitter accounts. Merely create a wishlist in your Amazon account, and it will monitor the prices of all the items you save. If you turn on the notifications, you will receive an alert via email when there are discounts and price drops. Additionally, it is available as a browser plugin where you can check the pricing tables. As of now, it supports both the Google Chrome and Mozilla Firefox browsers. 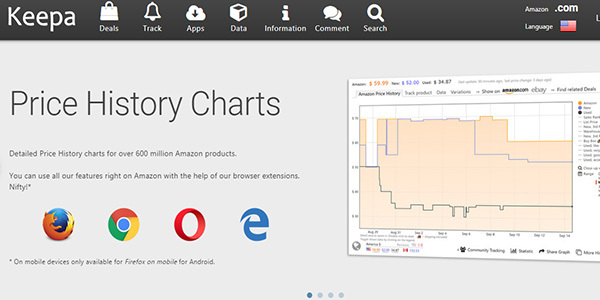 To summarize, this is a website application that tracks the product prices on Amazon. The major drawback is that its services are limited to pricing, sales and also the user-interface of the Camelcamelcamel website makes it difficult to understand for the clients. Free to use all the tools. The tracks product information of all time. Quickly identifies trending and seasonal products. Get the pricing and sales details of an item in Amazon. Breakdown of the database server. If you wish to become an affiliated programmer and earn money by selling products, then go with the Keyword Inspector amazon product research tool. It is one of the popular research tools across the globe for targeting the right keywords for different niches. We found this to be the most popular Amazon product research tool as its completely different from others i.e., a unique way of analyzing the competitor's data. The long-tail keywords used by the buyers are suggested for the affiliate marketers to focus on and improve product visibility in Amazon search results. 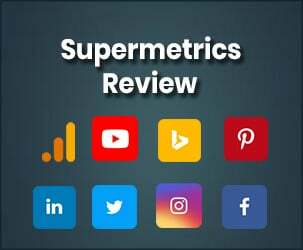 There are other amazing features like the usage of graphs make it easy to read, understand the competitors monthly sales, reverse ASIN keywords and reviews on a day-to-day basis. Overall, this Keyword Inspector is the best research tool for identifying the competitor's keywords. It generates quick results and provides plenty of options to target the audience. The only thing we didn't like is the Keyword Inspector charges high for specific features and also takes time to generate the results. Though there are few cons, Keyword Inspector made us list number-6 among the top 10 product research tools. 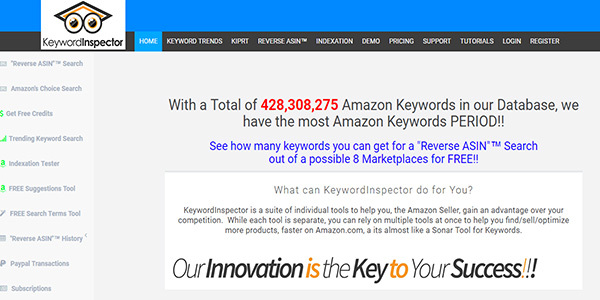 Long tail keywords of amazon researches. Know the product reviews, ratings and prices. The indexation tester tool checks 1000 keywords at a time. Keyword Inspector tutorial videos for easy accessing of the website. It takes time to load the search results. Not suitable for limited-budget people. 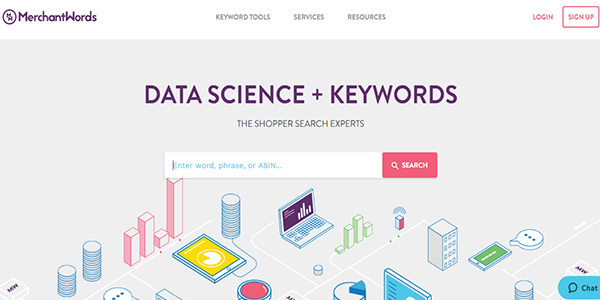 Choosing the right tool for your e-commerce business means understanding the differences between each and how they can help you use keyword research to find products to sell. Keepa is an advanced Amazon product research tool that is elegant and efficient to use. 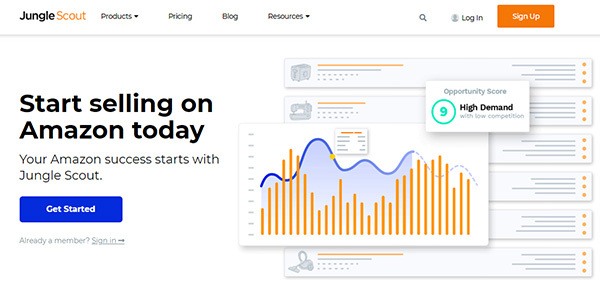 It offers large pricing graphs including the drop analysis, deals, latest products with alert mechanisms, and browser extensions. This free tool can be accessed from the app-store without registering, and it always updates the database regularly according to the google chrome search engine for better results. Moreover, it has the domain authority (DA) of 50 and engages 3.55 millions of monthly visitors to analyze the pricing and competitors data. Summing up, Keepa research tool gives the list of best sellers to compete and gain profits by introducing quality products in the industry. Gives the list of top product sellers. Alerts you with the change in prices. Full access to product details - reviews, ratings, keywords. Beginners may face difficulty to understand. Every month Amazon gets billions of visits from different shopping sites. What if you can divert the traffic from your website to Amazon and earn referral commission in thousands of dollars. MerchantWords is the world’s largest e-commerce tool that provides Amazon searches with real data. It even helps to identify and target the right keywords to maximize sales. The main purpose is to read the customers mindset through the search bar, deeply understand and measure the products you are selling. To add on, it uses AI algorithms to calculate the keywords rankings in search engines. Boost your sales in Amazon. Estimate the monthly search volume. Has the largest buyer keyword database. Find trending keywords to increase the potential visitors. Most of the users type the product name in the Amazon search bar. Imagine if you can hack and see the billions of search results at one place. Probably, it would be possible using the Sonar product research tool. This free tool has got millions of keywords to improve the organic rankings and optimize the web-pages in search engine page results. It uses complex algorithms to collaborate and secure the information in the database. Although its a newly established site, lakhs of people visit to analyze the potential of a product by targeting the audience - Australia, India, America, UK, etc. 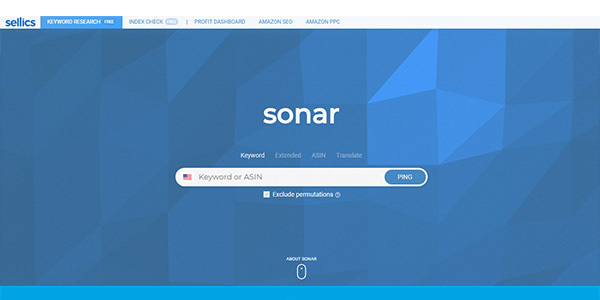 If you haven’t decided which product to sell, then this Sonar tool gives a clear idea based on searches, rankings and keyword difficulty. Billions of searches across the globe. Find short and long tail keywords. Build PPC keywords and export to a list. Finally, we end up the list of top 10 research tools with Amazon DataStudio. This is yet another best choice for beginners to analyze the product data instantly without wasting time. In other keyword ranking tools, they may not show a few results which are actually ranking. It is because your targeted keyword is different from ranking keywords for a product. Using this Amazon DataStudio, you can filter out and easily rank for the focused keywords. It is also possible to compare rankings with competitors, trending products, and Amazon choice badges. You will also be able to see where you are missing out and end up losing maximum sales with this comprehensive keyword tracker in the market. However, you can access it for free of cost, and for advanced search filters, you need to pay according to the requirement i.e. $15 for 20 credits, $100 for 200 credits and $500 for 1200 credits. 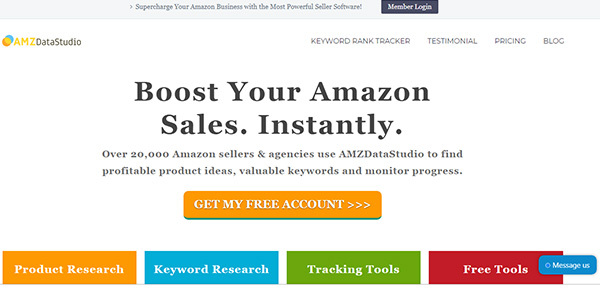 Thus you can boost your Amazon sales instantly with the Amazon DataStudio. HTML converter and listing builder tools. Track the keywords, PPC and reviews. Reverse ASIN and backend keyword extractor. Many features yet to be updated. What do you mean by amazon product research? Amazon product research deals with the estimation of marketing trends to help sellers grow their business and generate revenue. The main idea of product research is to get the quality products at low-cost and sell it for high margins. Is there a free trial for jungle scout? As soon as you install the jungle scout application or chrome extension, and log in with personal details, you will be credited 14-days free trial to use the application. During this time, you will not be charged and use all the services offered by the jungle scout. How to install the jungle scout chrome extension? Make sure you are using google chrome as the default web browser. Now go to the web-store and search for jungle scout. Add it to the chrome. Once it is done, get back to the internet settings and check whether the extension is downloaded properly or not. Do I need an Amazon account to use AMZScout? Nope. It's not required. You can directly use the Amazon Scout services without login to the Amazon account. What’s the difference between Amazon scout web application and extension? The chrome extension pulls the data from webpages and generates the results instantly. Moreover, it is possible to research the products directly from the Amazon pages. Whereas, web application works when you give the application to read and access your website. 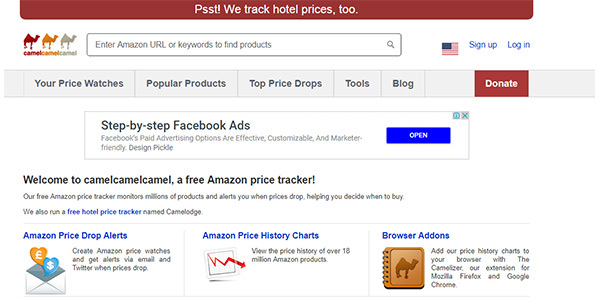 It can track 80 products and provide the search volume, PPC, reviews, and ratings. Does keyword inspector tool work other than the US? No. Keyword inspector tool currently works only in the United States of America. Does Asinspector work on any browser? Asinspector is a Google Chrome extension that can be accessed directly from the web browser. This brings us to the conclusion part. Using the tools mentioned above, you will be able to track the individual product data w.r.to pricing, sales, reviews, ratings, PPC, keywords, rankings, etc. However, you can use any of the tools for categorizing the niches and develop the business worldwide. If you think we are missing any of the favorite Amazon product research tools or have doubts, let us know in the comment section given below. We will clarify the doubts as soon as possible.